The quality of this year’s North Face 100 field had me excited weeks ago. It was one of the reasons I decided to break from four years of running in the event, to take a back seat and watch the front-runners battle it out and report on proceedings – and what a battle it was. But along came Brendan Davies and Beth Cardelli. These two have been on the running scene for a while now, and its fair to say that both ‘were’ good Aussie competitors. Yesterday’s results have seen them rise to global international competitors. People will start to take note now. They’ll see Brendan’s name on the list and say, ‘he’s the guy that beat Kilian’s record down under’. I think sometimes we can get carried away down here in Australia as to how good we are compared to the rest of the world. We can sometimes be unaware as to the levels guys and girls in Europe and the US operate on. Beth and Brendan are closing that gap at a rates of knots. The great thing about these two however is their humility. Speaking with Brendan after the race yesterday, he was still down-playing his achievement on the course. But the fact is that he has broken a record held by a man regarded as the world’s best endurance athlete. Did Kilian race hard when he came down here two years ago? Who cares? 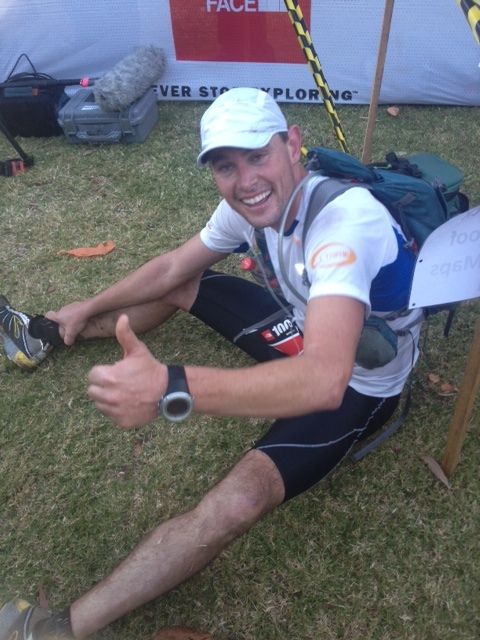 Brendan ran a 100 miler with 9000m of ascent three weeks ago. Horses for courses, the fact is that you can only beat what’s laid down in front of you, and the man from Woodford in the Blue Mountains did exactly that, achieving what no-one thought would be done, and as he said to me yesterday, beyond maybe what he thought he could do. It was pretty special. Beth is now quite rightly the ‘Queen of the North Face 100’. She’s won this event three times and yesterday beat her own course record… again. After Hanny Alston dropped at CP4, no-one could get near Beth, and in similar vein to Brendan has moved up another gear this year in terms of training, ability and results. The surprise package (although no surprise to Blue Mountains locals), was the performance of Jo Brischetto in the final leg and grab a fantastic second place. The ladies podium with Beth in the centre and Jo (right) in second. People who know Jo, know that she has great potential. I remember racing her at 6ft track a few years ago and she’s a tough competitor. She also trains with Brendan, so that will give you some idea as to why she’s now starting to plant her name in the upper echelons of the female trail running fraternity. The other amazing fact about Jo’s run yesterday was that it was her first 100kms, which we think shows the potential she has. Having been plagued with injuries for a great deal of the last 12 months, its great to see someone like Jo get her just reward with a brilliant second place and a time of 11hrs 45mins. All we can say, watch this space – Jo could be giving Beth a run for her money in the not too distant future. Hanny gave it a good crack yesterday. Ladies racing just got very interesting. The best thing to come out of the ladies race yesterday however is that we’re starting to get a good crop of ladies who have the talent and ability to all challenge each other and push each other hard. Ladies racing used to be about two or three runners finishing hours ahead of the rest. But that situation is changing very quickly and it’s great to see. We now have the likes of Jo, Gill Fowler, Hanny Alston and Beth all battling up front, with a further crop of 12-13 hour North Face runners who are challenging too. Competition is good for our sport as it drives standards. While it’s clear from the racing yesterday that Beth is leagues ahead, finishing over 40 minutes in front of Jo, the lines are being drawn and the racing over the coming years is going to be mouth-watering. Hanny was talked up a lot, and rightfully so to be honest. She’s a world-class athlete in orienteering with a priority on the world championships in five weeks. 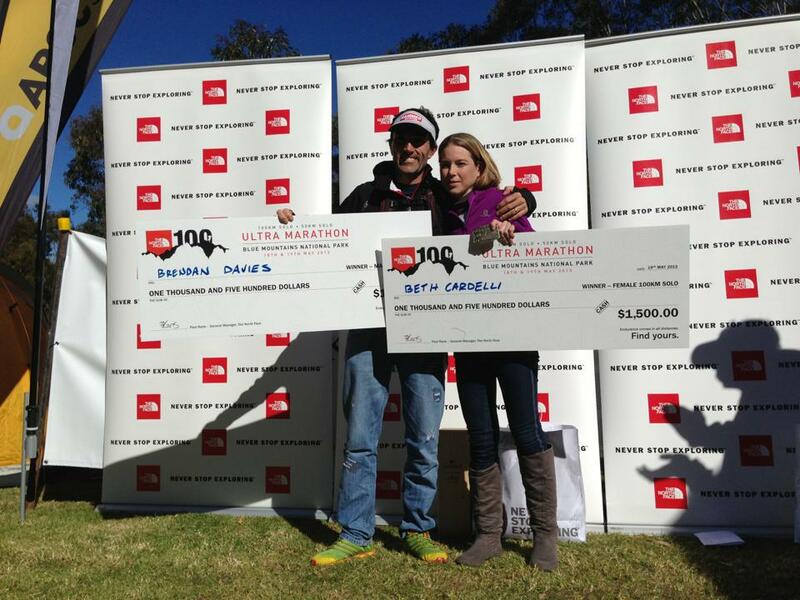 She battled hard with Beth yesterday for 65kms and gave a glimpse of what is possible. She has nothing to prove having already gone toe to toe with Matt Cooper over 80kms at Cradle Mountain in February this year. For Hanny it’s a matter of time, but it was great to see her step up and have a go. So what of Brendan? It really has been his year thus far over the longer stuff and it was an absolute privilege to watch him race yesterday. Each time I saw him, he looked strong and razor-sharp in his focus – he was a man on a mission. As he ran into the last checkpoint (probably around sub 4 min kms by the way), I looked at my watch and said to his wife that he’s on for a 9:25. It’s a hard thing to call as you don’t want to pump him up too much in case something goes wrong. Even at halfway, I conservatively called him for a 9:35 based on his pacing, but he just got quicker and quicker. It was amazing to watch. But aside from the physical exertion, the thing that really intrigued me was his mental focus. Speaking with Brendan’s better half, Nadine, she offered me some real insights into how the hell he continues to impress and back up. It all comes down to his mental attitude. There were two things that really struck me yesterday that she said. The first was his firm belief that everything was going to be great and that he was going to have a great race. That’s the positive mental attitude. But combined with that was his ability to be ‘curious’. This really struck a chord with me. I have on a professional level been researching our ability to be curious in my day job outside of Ultra168. I find it fascinating, and when someone talks about it, I listen intently. All of us are curious in some way, shape or form. It’s our ability to act upon it that is another thing entirely. Running is quite a curious pastime. We’re sure that your friends and family have asked you why you run these long distances. Why do people want to climb Everest? Simply because ‘it’s there’. Just three weeks ago I decided to go on a rather long run in the Blue Mountains and connect a few trails that I had been meaning to for a while. Simply because I was curious and it ‘was there’. It’s this aspect of curiosity that fascinates me about Brendan’s race yesterday. He wanted to see what he was made of, to push himself to new boundaries and see where they would take him. He doesn’t start with a pre-determined result or ending in mind, because with curiosity you cannot put a number or result against what you’re about to do. It’s the fear of the unknown and what might happen that makes us want to explore, and it’s this quality that I feel is essential if you want to be a runner at the top of your game. You only have to look at a certain Kilian Jornet and what he does throughout his whole life. He may run, ski and climb mountains, but he does it because he’s curious about where it will take him. There is no pre-defined route or result that he’s looking for, the notion of what he is doing will help him find that out as he sets upon his journey. Brendan is now starting to think like this, and it will take him far. Another man who holds similar qualities is Vajin Armstrong. eloquent, humble and very talented, Vajin ran hard yesterday, but was blown away by the sheer determination and curiosity of Brendan. Vajin ran a PB of ten minutes and if you were a betting man, you would have said that with just 9 minutes between him and Brendan at the aquatic centre at CP4, you would have thought this is where Vajin comes into his own. 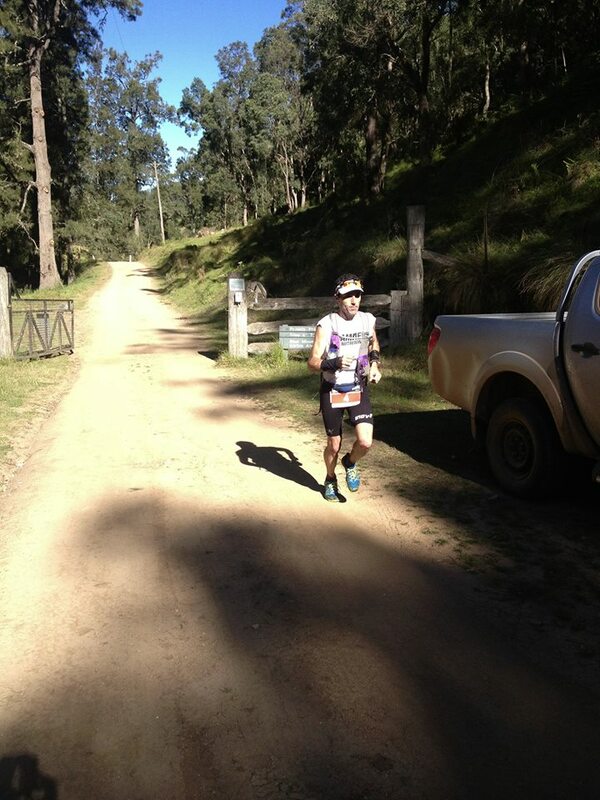 Traditionally a better climber than Brendan, the leg between CP4 and 5 contains 6kms of beautiful uphill slog. The scene was set for Vajin to close the gap with all to play for in the last leg. But Brendan took Vajin to town. He added another 13 minutes to his lead here, running all of Kedumba pass like a man on a mission. Vajin rocked up into CP5 like a man who knew he’d been schooled on hill climbing. He fought hard all day long, but had come up against a man who knew no boundaries of his own limits yesterday, both physically and mentally. As we reported in our preview, all the talk was of sub 10 hour racing yesterday, and a number of guys put their balls on the line to do so. Andrew Tuckey again showed his class and consistency with a PB of over ten minutes, monstering the last leg to overtake Rob Walters for third in 9:45. 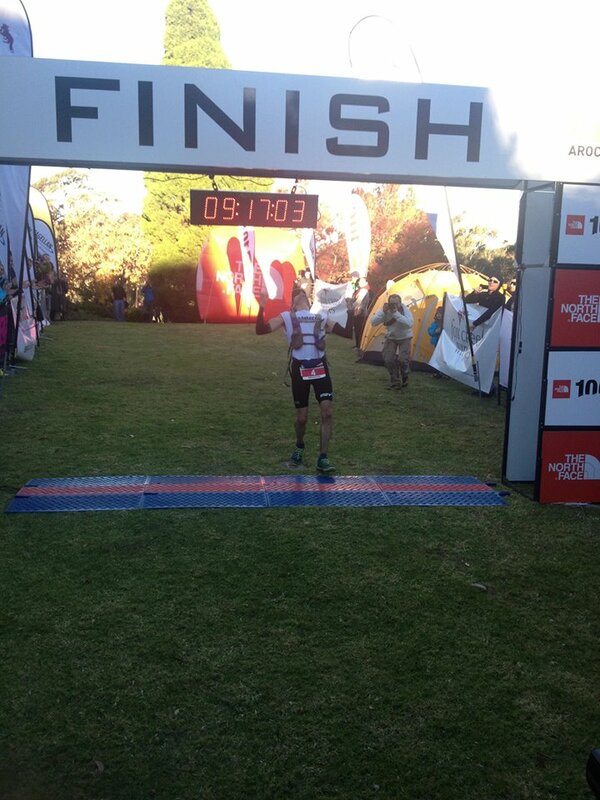 For me, Rob’s performance was one of the runs of the day, crossing the line in 9:50. Rob is a unit, a big guy who can move effortlessly. I watched him all day long and he looked comfortable and at ease while others were puffing hard. You can tell he had trained hard and paced himself well and he finished with a reward that justified his efforts. 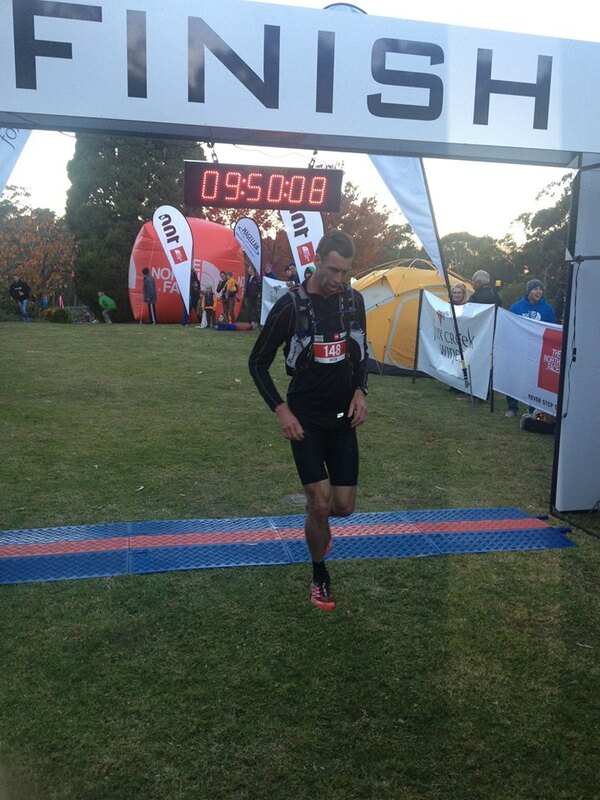 A special mention also to a friend of mine, Jono O’Loughlin who broke under the 10 hour barrier with seconds to spare. I’ve trained with Jono many times and he’s been talking a sub 10 for months. His ability to hurt himself is unparalleled and while he looks like he’s blowing hard all the time, he’s one of those guys who can just keep hurting for over nine hours and not fall off the pace. It was great to see him cross the line with pure elation. I believe that to be successful, one of the most important attributes you need to have is to question the realms of what’s possible and to be curious. If we lose curiosity, we lose our ability to develop and advance. I have a feeling that Brendan and Beth, along with many other Aussie runners will continue to ask themselves what’s possible, and to be curious with their running and where it will take them. 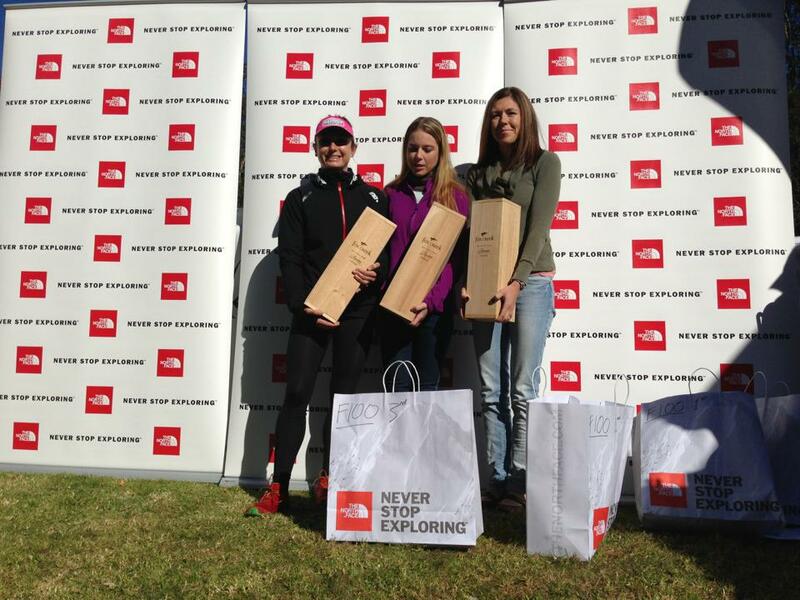 Who will be the leading ANZ runners at TNF100? Great report Dan. And thanks for continuing to play up the critical mental side of this game as it is too often forgotten. The “curiosity” factor, a strong sense of self-efficacy and the ability to keep razor concentration for long periods of time are the things that give people like Brendan the “X-factor” when up against similar or even fitter competition. I’m very proud of our top Aussie performers at the moment. Hopefully the “tall poppy” syndrome is dead and buried in this country. Thanks Martin. Comments like yours are the reason we keep this thing going. Much appreciated and hope you have recovered well. Well said Flyer. I can only hope that Brendan’s performance inspires some of the younger/newer runners to aspire to knock off his record and keep pushing the envelope. Our maybe even just push Brendan to run even faster to defend it! Time to put Beth up against Ruby Muir eh? Great runs from all the top placegetters, particularly Brendan and Beth. I thought Rob Walter would do well and he didn’t disappoint. Ask a better question, get a better answer…. Great report. Thanks U168, and also thanks for the coverage out there. Tops! Nice write up as usual Dan, and good to see you out on the course. Stoked for Brendan and Beth. Bloody brilliant results!! Beth passed me soon after CP4 looking super solid, i really had my work cut out for me going up Kedumba to give me enough of a buffer to get away from her. I’d have had no chance on the single track. For those following this thread, I’ve decided to delete the comments in relation to the questioning of performances at the weekend as I deem them in appropriate and just hearsay. Also out of respect to the runners themselves – this is running and trail running at that, not multi-million dollar titles at stake. Thanks Chris, felt sorry for your boy on Saturday. It was shaping up to be an awesome race. Thanks for your support. Awesome race! Great write up, too. I missed the action at the pointy-end as I was in the blunt-middle of the field (which was also full of action), but so good to be able to read about it here. I really like the discussion of curiosity… it comes in different forms, of course, like “I wonder what would happen if I put wasabi on my vegemite sandwich?” (answer = great things), but the curiosity shown by these guys and girls who wonder “what could I do if pushed the pace from the very start of a 9hr/11hr run?” is totally different. To follow that curiosity is to sign up to hours of pain, the possibility of massive blow-up and failure and of other things that these champions have on the line and that I don’t understand. It’s courage of the highest order in sport, and really puts into perspective those actions that we are told are courageous in a lot of other sports. The stuff that we saw on the weekend is exactly the sort of thing that I want my children to grow up appreciating and aspiring to. wasabi on vegemite ?how does it go ? im curious…. Ah, its great! In the right ratio, of course. It’s at its best on pancakes, I’ve found. A great write up on a super race. Really summed up in words what I experienced following the top end round the Mts camera in hand. Keep on keeping on, enjoy. I hope no one takes this the wrong way at all, but I just wanted to express something that’s been bugging me for the last week or so and didn’t know where else to comment. Firstly I had an awesome TNF100; as an Aussie living in Hong Kong it was an absolute privilege to finally do my first race in Australia. I thought the race was magnificently organised, the course well marked, other runners super friendly and the general atmosphere was positive and supportive. Having my family to support and finally getting the chance to race through the Aussie bush on such a magnificent day topped off a fantastic experience. Having never run before in Australia, I chose TNF because of the perception that it’s our premiere 100km trail race with the deepest field. Coming from hot and steamy Hong Kong the cold air at the start really hit me and I moved a lot slower through the streets of Katoomba than I wanted, so by the time I hit the first trail I was in a pretty big traffic jam and here was my surprise. We were at the start of the race, everyone had fresh legs, yet were moving so slowly. What was the matter? We were on beautiful trail, most of it downhill, yet people were shuffling along at what seemed like a super slow pace. Racing In hilly Hong Kong I consider my myself an average technical runner, yet during TNF every time I hit a bit of technical trail I seemed to fly past people. This trend continued throughout the race – after the ladders, coming off Ironpot Ridge, the final trail section after CP5 – every time there was a technical bit I’d pass people and by the time I reached the bottom they were no longer in sight. While I never saw the top guys in action, I did pass a lot of people during the race and most of the time this was on the technical stuff. 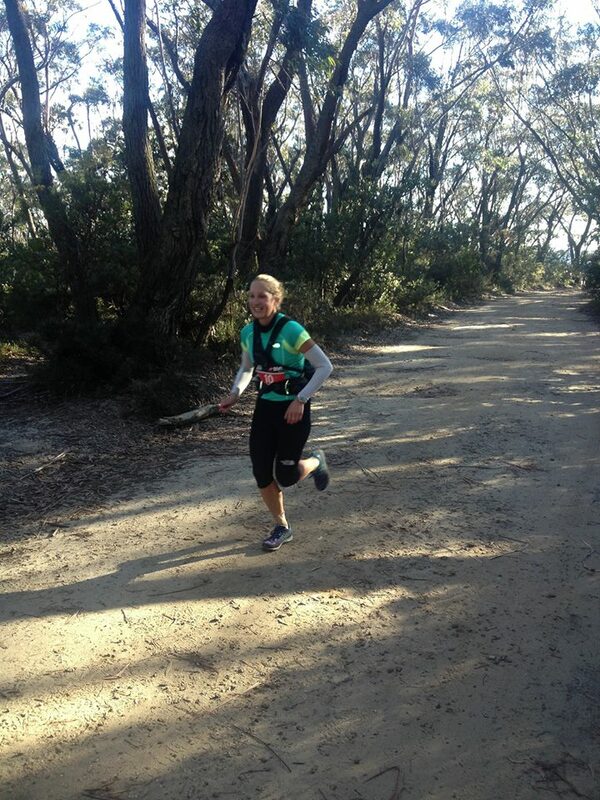 I was racing in what’s perceived to be Australia’s top ultra, in the first start group of a competitive field, yet nearly everyone I encountered seemed to have pretty poor trail running skills. I’ve spoken to a couple of overseas runners who did TNF and they also expressed a similar view. Why does it seem like everyone in Australia is so slow in the technical trails? Again I hope no one takes this the wrong way as it’s just an observation and something that’s been bugging me a lot over the last week. I may venture to say that the most popular trail races in Australia are not particularly technical (such as this and 6 foot as examples) and they have a broader appeal especially to traditional road runners, who don’t have as much technical ability. Being able to run the technical sections of this race however is a massive advantage, as most people learn over the years.